There has been a large rise in automobile accidents related to distracted driving. According to the National Highway Traffic Safety Administration, there are nearly 400,000 injuries and deaths related to distracted driving in a year.1 At the same time, many car manufactures are adding connected capability and phone integrations, making cars just as connected, and distracting, as many home computers. To mitigate distractions from these integrations, many manufactures are using automated safety features to help mitigate some of these distractions such as automatic braking, lane keeping technology and completely autonomous capabilities. While these are effective, they don't address the inherent risk of driving while distracted. There is a balance that manufacturers should make between usability and safety. In the current environment, features can often take the lead over safety. Prominent examples include infotainment systems that allow access to text messages and the integration of voice assistants. Some applications are gaining popularity to help make driving with technology safer. One example is DriveMode, created by AT&T, which turns on automatically when the car is in motion and can mute text messages while sending automated responses letting contacts know you are driving. The question then comes to the actual infotainment systems: with increased connectivity these systems can simply bypass third party applications. To combat this, manufactures need to build in their own safety capabilities that can perform many of the safety features that limit distracted driving. Usability and safety are often at different ends of the implementation process. However, to truly make safe and usable features automobile manufacturers need to consider a delta of pros and cons for each feature brought into the dashboard, and best practices for ensuring a vehicle that is both connected and safe. 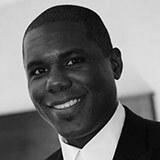 As a program manager at Intertek, Delmar Howard focuses on test process development and security assurance in both enterprise and consumer software. He has been directly involved in the design and implementation of testing programs for smart product manufacturers. Delmar has more than 10 years of experience in IT testing and holds a B.S. in Computer Science from Bloomsburg University.